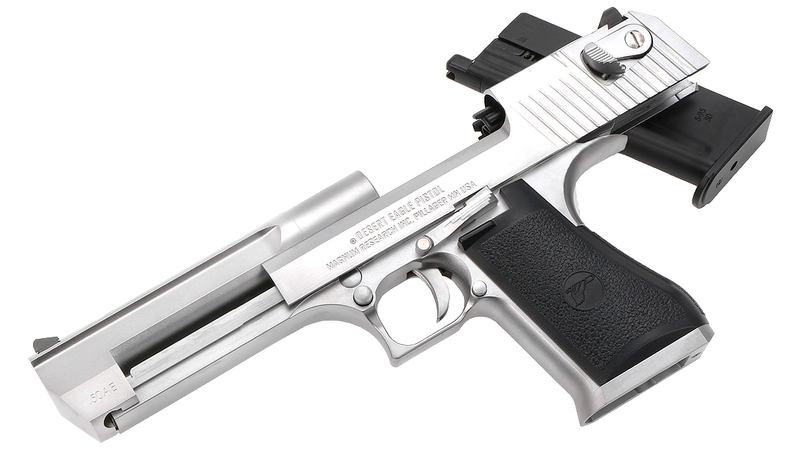 The IMI Desert Eagle is a powerful Semi-automatic pistol designed by Israel Military Industries in Israel and redesigned by Magnum Research Inc, of the United States of America. 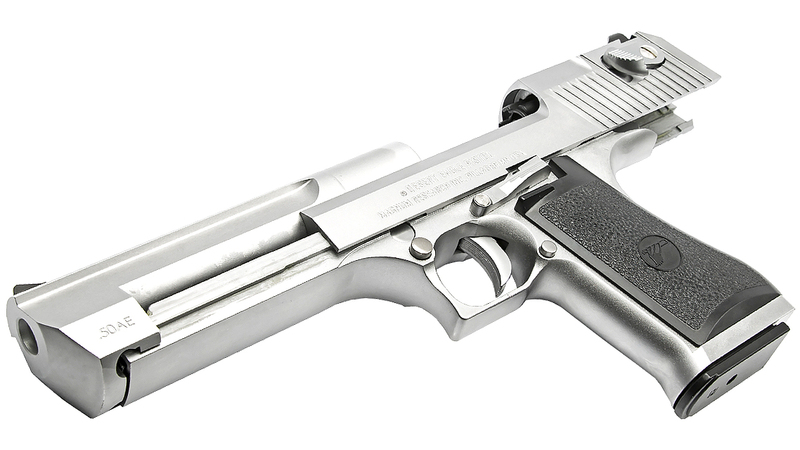 It has become an icon of both films and video games the world over, with its triangular barrel and gaping muzzle. 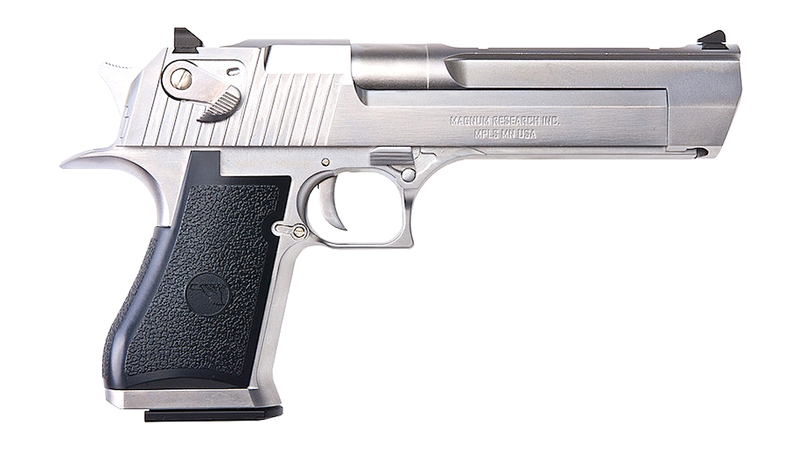 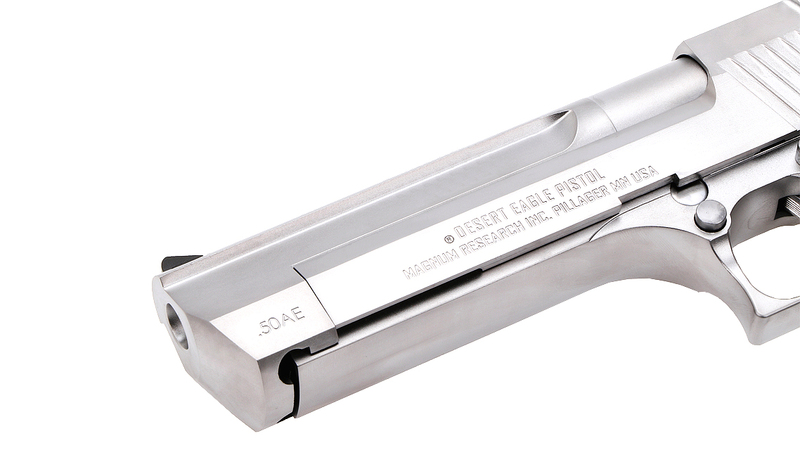 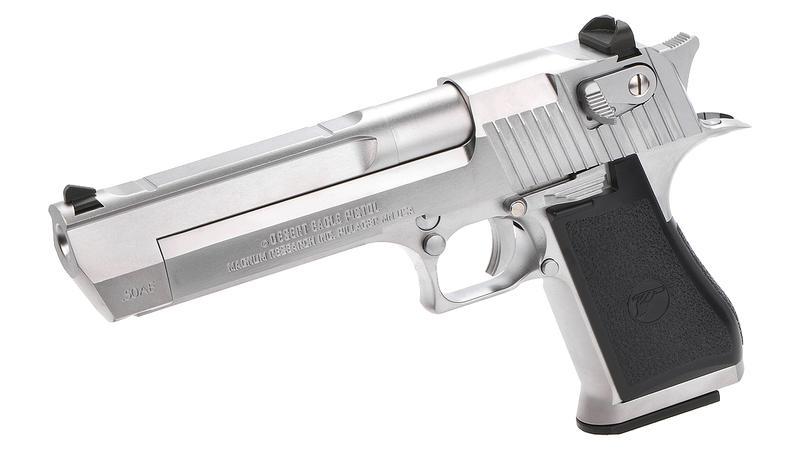 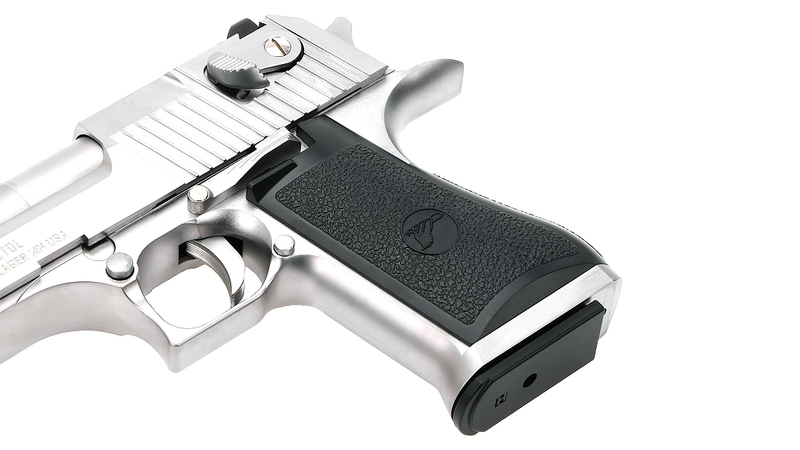 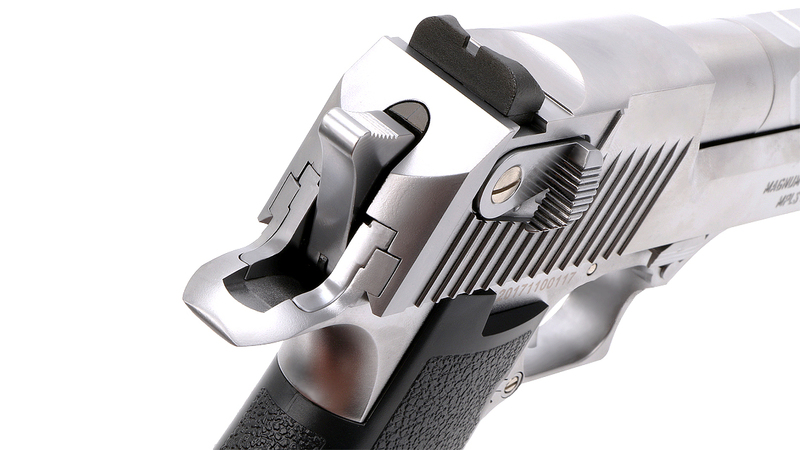 Over the past 25 years, MRI has been responsible for the design and development of the Desert Eagle pistol. 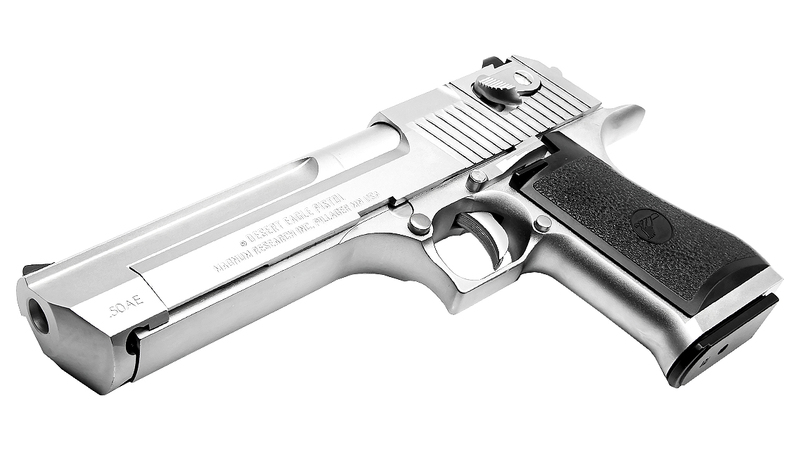 The design was refined and the actual pistols were manufactured by Israel Military Industries until 1995, when MRI shifted the manufacturing contract to Saco Defense in Saco, Maine. 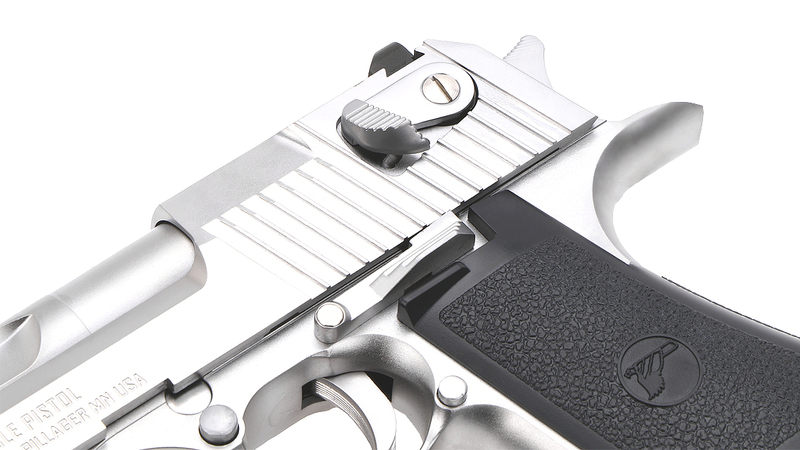 In 1998, MRI moved manufacturing back to IMI, which later reorganized under the name Israel Weapon Industries. 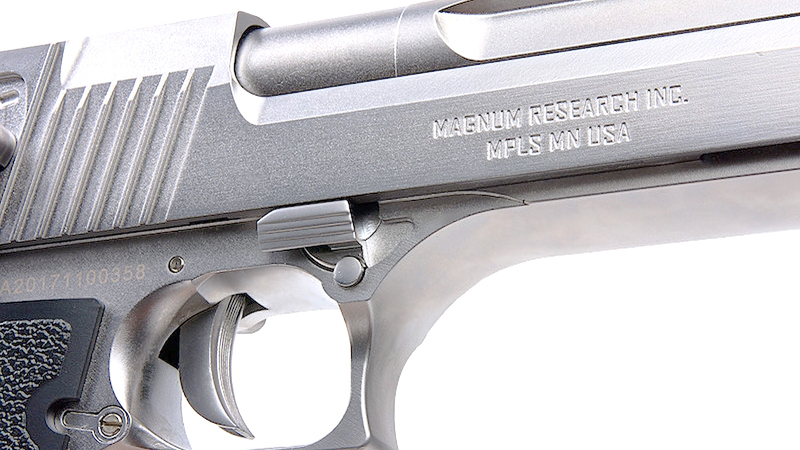 Both Saco and IMI/IWI were strictly contractors: all of the intellectual property, including patents, copyrights and trademarks, are the property of Magnum Research. 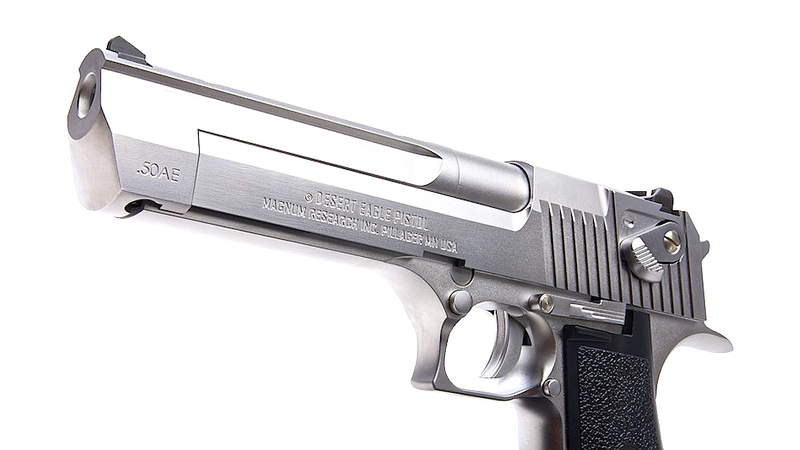 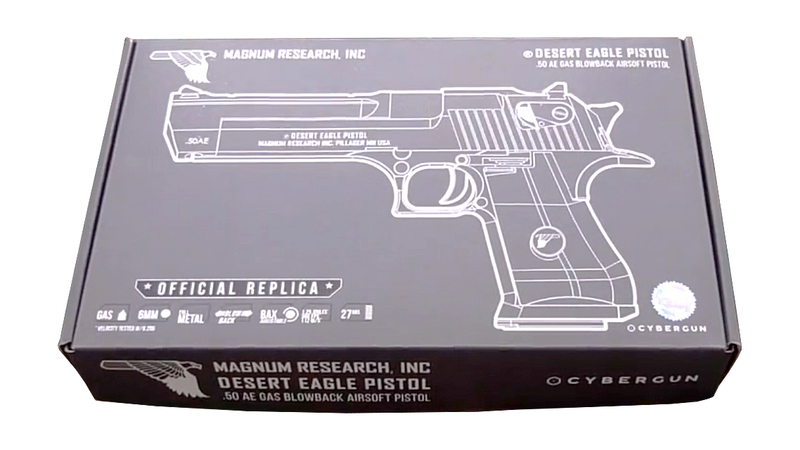 Since 2009, the Desert Eagle Pistol has been produced in the United States at MRI's Pillager, MN facility. 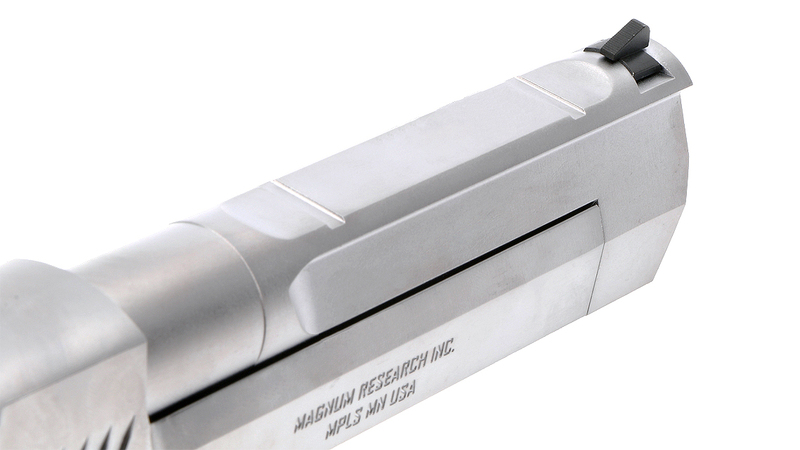 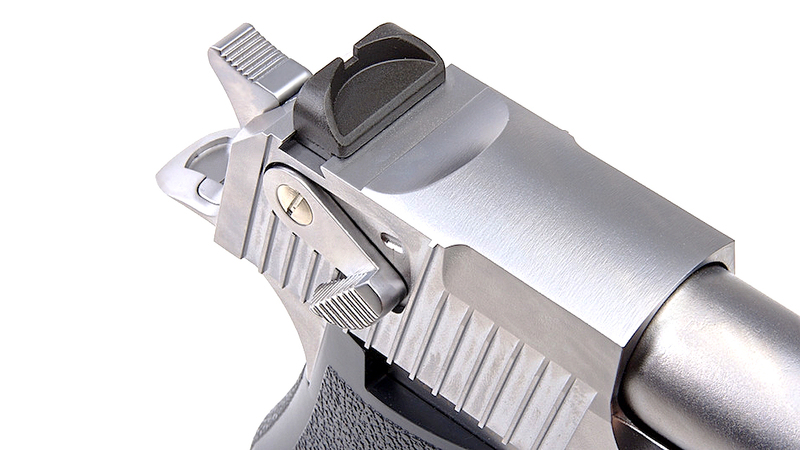 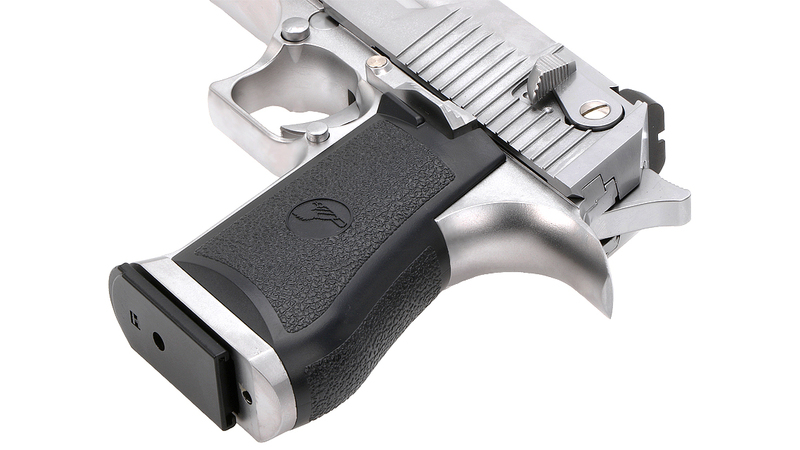 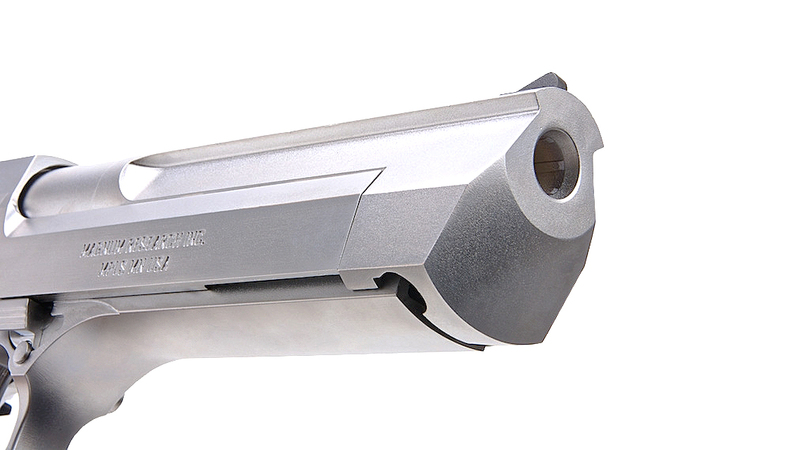 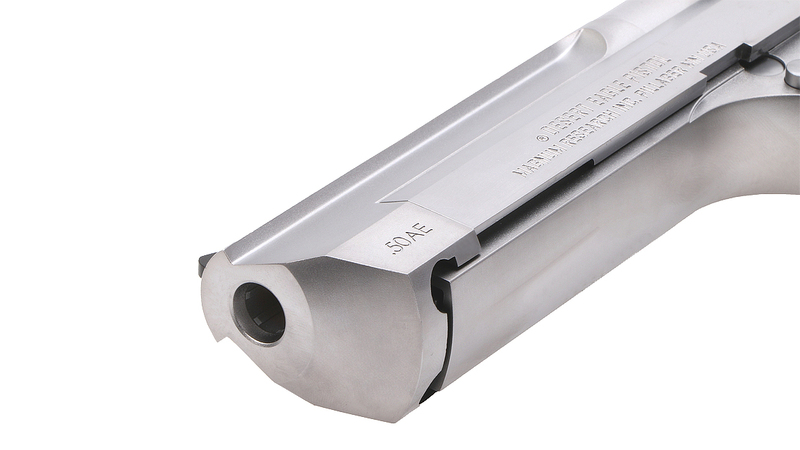 Kahr Arms acquired Magnum Research in the middle of 2010. 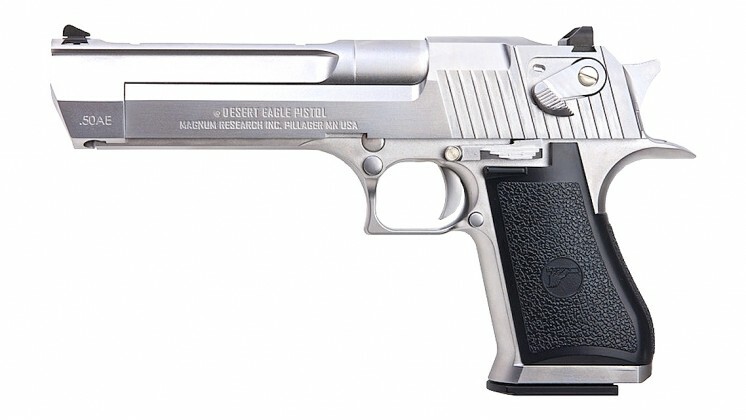 The Desert Eagle has been featured in roughly 500 motion pictures and TV films, along with several video games (especially the Grand Theft Auto series), considerably increasing its popularity and boosting sales.